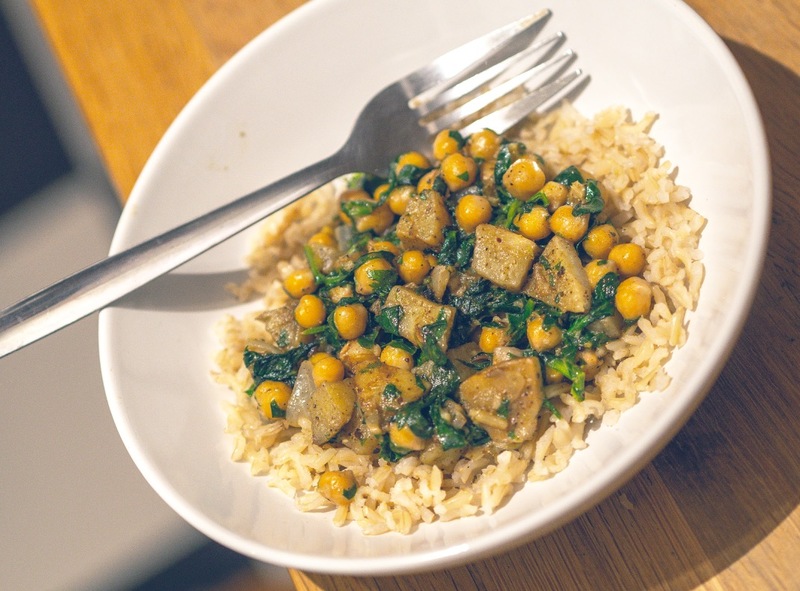 I wanted to make a tasty veggie curry that is spicy and without an endless list of ingredients, and here it is! You can eat it with rice, naan bread or poppadoms. It is perfect with cucumber raita on the side (mix plain yoghurt with chopped cucumber, crushed garlic and a shake of pepper). A different version of a classic, by Anjum Anand. Works well as breakfast, lunch or dinner! Allow about 15 minutes. Preheat the oven to 200 degrees/gas mark 6. Mix together all the ingredients except the bread. Divide it between the top of the two slices of bread. 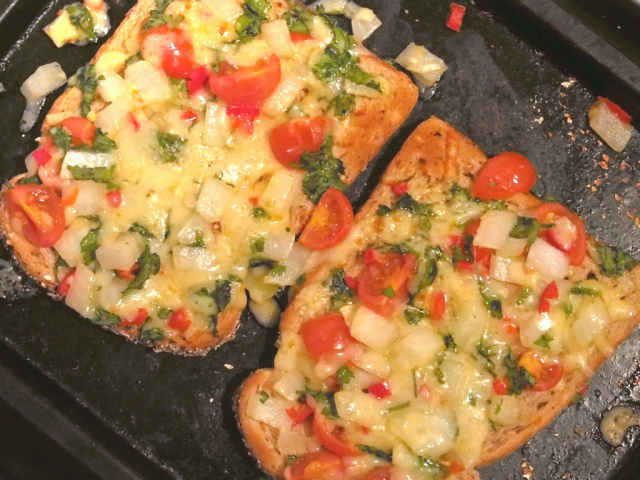 Cook in the oven for 8-10 mins until the bread is crisp and the cheese is browning. Serve with tomato ketchup. 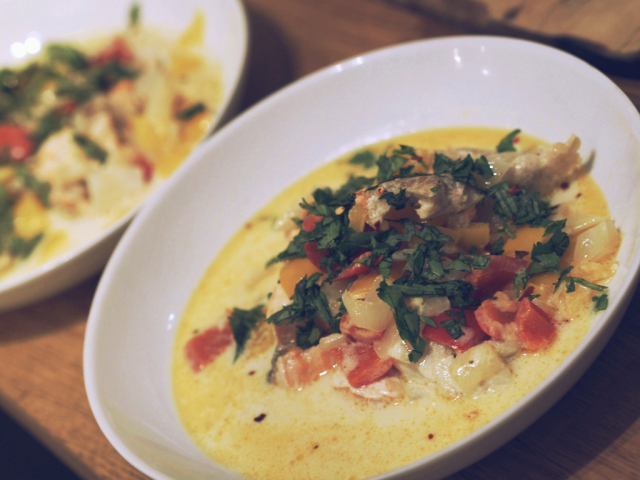 F ull of Thai flavours and simple to make, this dish can use pretty much any fish (coley is tasty and cheap). Ready in 45 mins. Heat the oil in a frying pan and fry the onions and peppers for approx. 8 mins, until softened. Preheat the oven to gas mark 4/180 degrees C. Put the ginger, garlic, lemon juice, salt and coconut milk in a mixing bowl and mix together. Stir in the vegetables. Put the fish in a casserole dish and pour over the sauce. Pop in the oven for approx. 25 mins, until bubbling well and the fish is soft and cooked through. Scatter over the coriander and chilli flakes before serving. 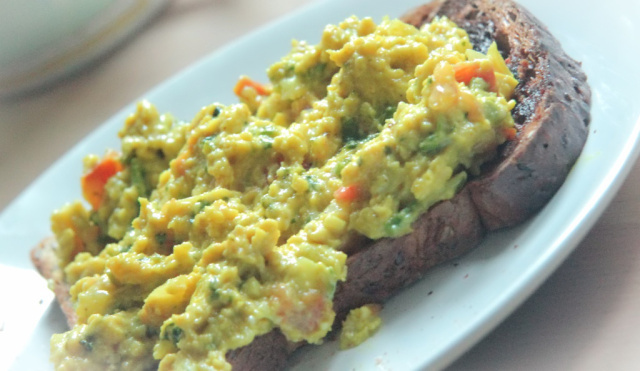 This is a popular street food snack in India and makes a really hearty, unusual breakfast. Ready in 20 mins. Heat some oil in a pan and add all the ingredients apart from the turmeric and eggs. Heat for approx 2 mins. Add the turmeric then after about 30 seconds add the eggs. Gently move them around for approx 5 minutes, until they are cooked and a little glossy. Eat on toast! 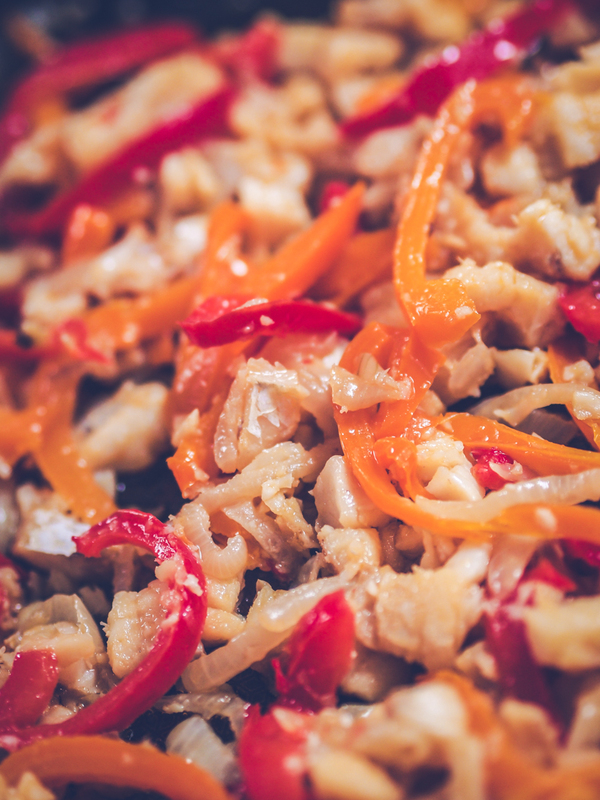 Saltfish (available in supermarkets and some local shops) is preserved in salt so lasts a long time in the fridge, and is lovely with fried peppers and onions. Great with rice or salad. Soak the fish as per the packet instructions. Once the saltfish has soaked, give it a good rinse to get off some of the salt, then chop it in to chunks. Fry the peppers, onion and garlic in vegetable/sunflower oil for about 5 minutes until softening and then add the fish. Heat and stir for about another 10 minutes until the fish is tender, cooked through and flaky.